Sleep….my best friend….I nearly slept the whole afternoon. Sometimes you don’t feel like doing anything…you just feel like lazing around…and today was such a day. Read out two stories to Samruddhi…and she was all happy. The best part was that she was also trying to read with me. Had potato bhaji and garam chai in the evening…a perfect go with the weather outside. There are many who don’t get to eat…but we are so fortunate. We have the basic necessities of life, and still we keep on wanting for more and keep cribbing. I am grateful for my good health. 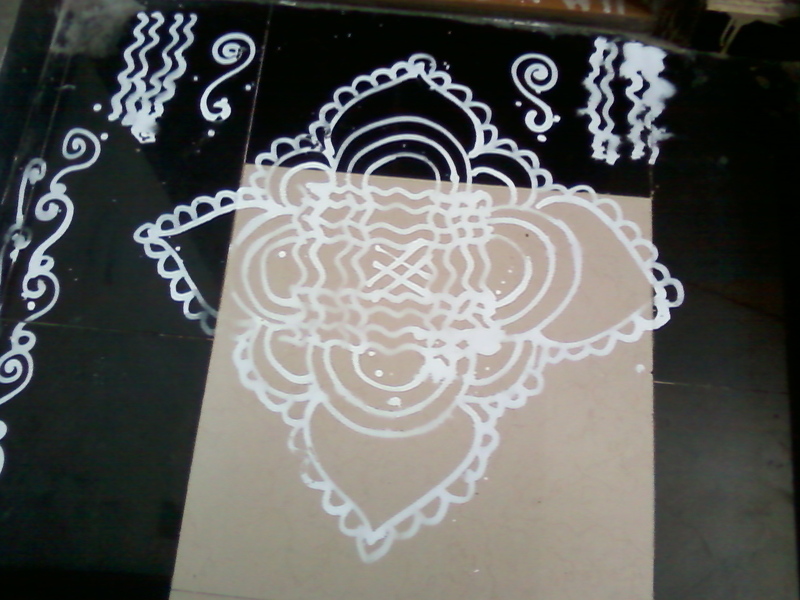 The Kolam that I made for Onam, turned out to be beautiful….I got many compliments. Here is the pic. And the last one….I danced after so many days…I have gained 2 kgs, so I am back to by workout sessions or rather dance sessions. Hope I can continue that. How was your weekend guys???? Do tell me….I am waiting…!! I am glad you are keeping up with this. Hope you lose those extra kgs soon but do keep dancing. You are inculcating right habit in Samruddhi to read books. Positivity helps a lot uncle..and haan…i need to reduced those flabs now.